Hi loves! Happy Friday! I am having a fun dinner tonight so this scheduled post is here to entertain you tonight ;-). Recently I ordered a clear case for my iPhone, with the intention of doing something fancy with it to make a unique phonecase. 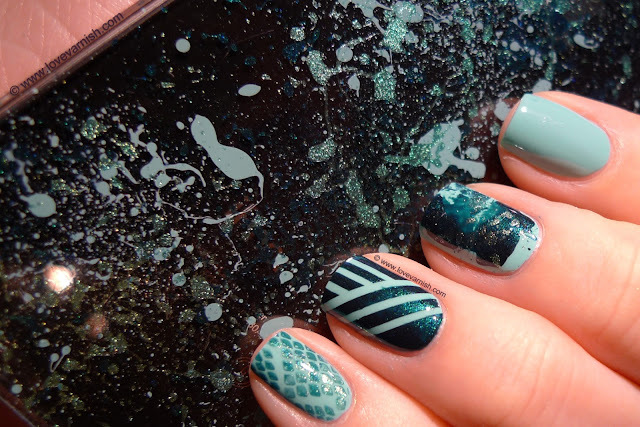 Then I discovered splatter on my nails. After a day or so I realized this could be pretty awesome on a phone case too! So, I grabbed some polishes and blew away. The colors I used looked so pretty together I wanted to do a manicure with them too! From thumb to pinky here's what I did. All nails have 2 coats of H&M Bella's Choice as a base. Thumb - Dotted with a small and large dotting tool and a franken and H&M Lady Luck. Index - nothing special. Middle - Splatter using a franken and H&M Lady Luck. 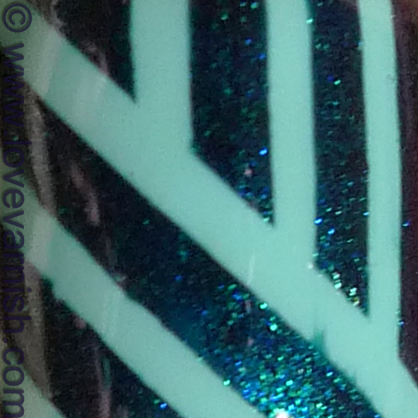 Ring - Tapemanicure using striping tape and a franken. Pinky - stamped with a Bundle Monster plate and a gradient of a franken and H&M Lady Luck. I especially LOVED the striped nail (inspiration came from Sammy) and even though I needed some patience, it wasn't that hard to create! I added a bonus picture with the finished phonecase, do you like it? 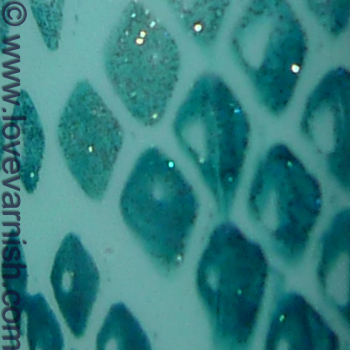 I really like the ring finger, it's the contrast between the two shades and because the shimmer polish looks lovely! I love your choice of colors! They look great together. I really need to do a striping tape mani, I bought tape months ago, and have yet to use it. And your phone case turned out awesome! Love the way it looks with the dark background. 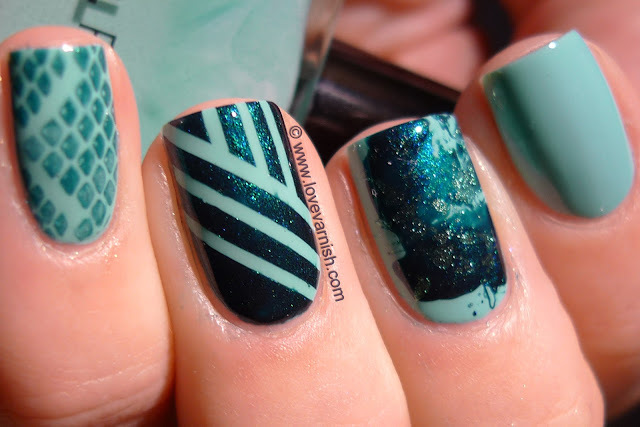 Your mani is awesome, love the color combination! Your phone case looks great, too. I did too! Loved the pattern too :). Thank you Angie! I was very happy with them as well :). Tape mani's are so much fun, it takes some time but the results are so great. Thank you Nicole! They came out great didn't they? Aww thanks Gwen! They are a lot of fun to compose :) I just use bits of inspiration from various bloggers and throw it together haha. Thanks babe! I liked the splatter on my other hand better, but the picture came out bad :(.